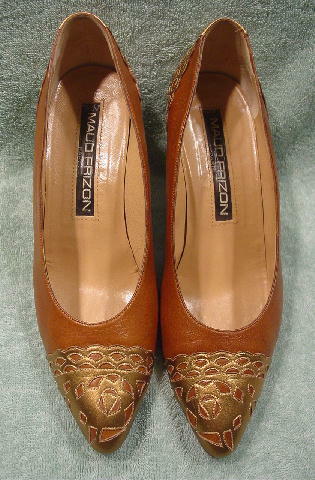 These vintage Maud Frizon Paris leather pumps were made in Italy. 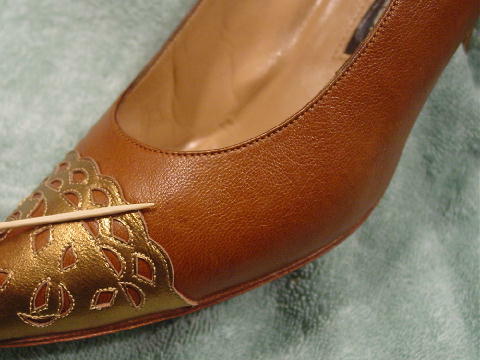 They are in a dark camel-caramel color with cutout accents in a golden-light bronze leather. 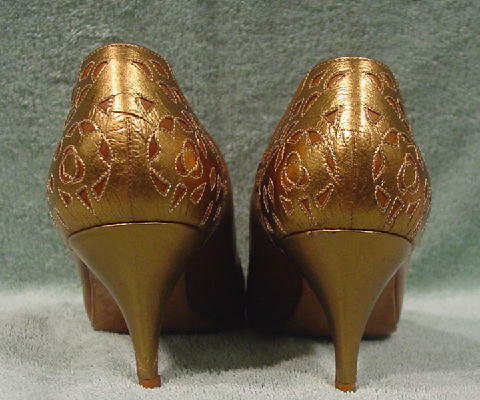 The heels are also in the golden-light bronze leather. 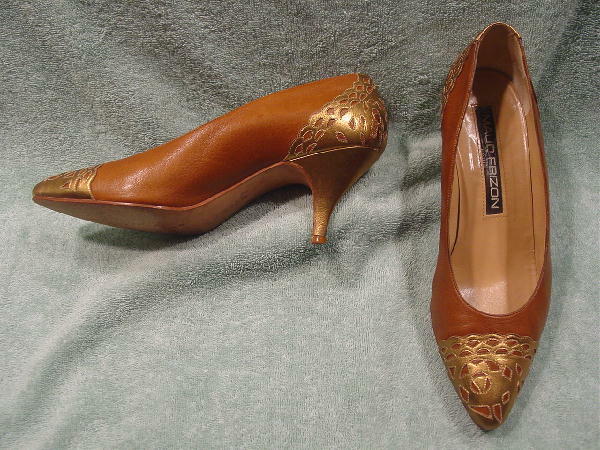 They have leather soles and pale sandy-camel color leather linings and insoles. 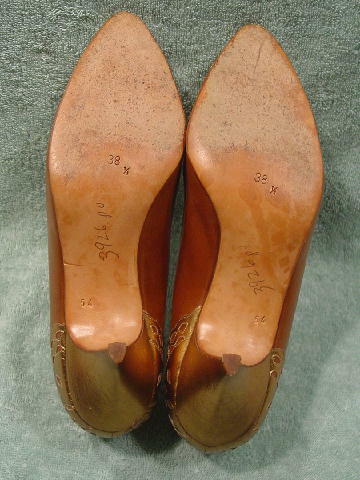 The left shoe has an age spot outline and dot on the front outer side and a dark age dot on the inner side. The pumps have pointed toes. 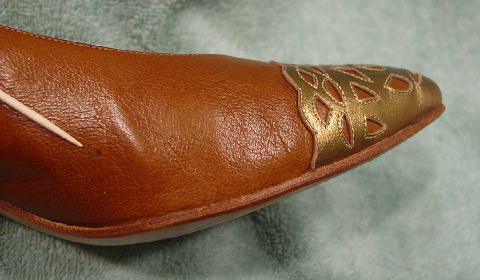 It's very nice leather and detailing. They're from a former French model.